As a newcomer to the PC gaming scene, the many conflicts and opinions on PC gaming peripherals will no doubt be something of regular discussion. Are mechanical switches better than membrane? What’s so gaming about gaming mice? Should I go wireless or wired? Regardless of what most people think of your purchase decision, the most important thing is to go with what works for you, what’s affordable, and what’s of respectable quality…and whatever looks the best. Throughout the many choices of gaming mice on the market, most will claim to be optimized for a specific play-style and will deliver the better results over one that may be designed as an all-purpose device. But, if a specifically tailored mice doesn’t feel physically comfortable to use when gaming, is it really a better choice? This will all be down to the gamer, and whether or not they’ll be willing to allow aesthetic choices override their needs for gaming performance. Literally the truth for every buying decision ever made in PC gaming. 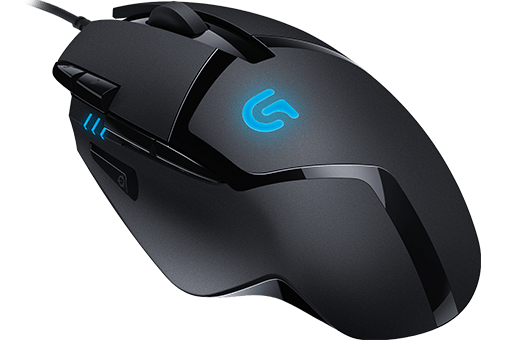 So what exactly separates a FPS gaming mice from an MMO gaming mice? What’s Claw grip and Palm grip? Why do some mice have weights inside – planning to workout during an online battle? Within this article I will guide the audience through the details, differences and varieties of gaming mice out there, as well as the many features and technologies they may include. 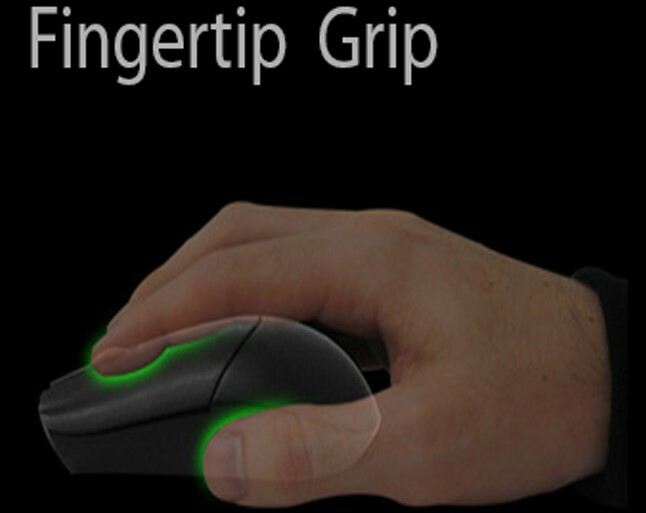 Designed specifically for FPS gaming, mice of this type feature a unique “Sniper Button” placed towards the resting position of the thumb at the side of the mouse. This button allows for greater control and convenience when taking precise shots with guns that require steady control, as the DPI sensitivity level slows down once the button has been held. Common to all gaming mice, DPI adjustment buttons are usually fitted between the primary click buttons. 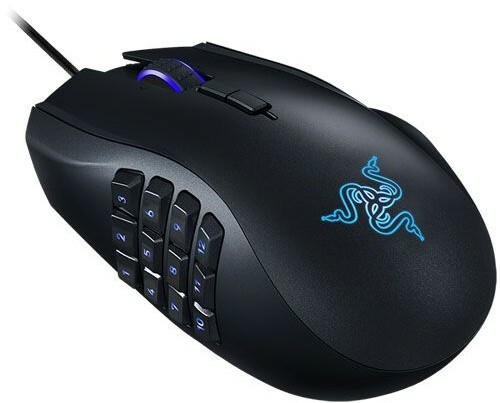 FPS type gaming mice also provide more options for weight control through the means of interchangeable weights, more so than any other type of mouse, in order to accommodate the fast-twitch nature of FPS gaming. Built with additional space towards the side of the body, MMO mice utilize this space for extra buttons in order to minimize the amount of the movements required from the player’s keyboard hand when travelling from key to key. By giving the player control over the game through the means of their thumb this provides convenience and faster movement for the many gameplay mechanics and character-specific traits that comes with nature of MMO gaming. By allowing button-assignments to these buttons, players can configure their controls as neeed, adjusting as required in order to suit the way they play. Whether its customization through the means of physical construction or software designed for RGB lighting or button assignments, mouse customization can prove great for improving the gaming experience. With gaming mice such as the Corsair Glaive and the Razer Ouroboros featuring interchangeable panels which can adapt to all types of grips and genres of games, this proves extremely convenient for those who play many types of games. This extends to the primary click buttons themselves with mice such as the Logitech G900 Chaos Spectrum featuring interchangeable buttons, and the Corsair Gladius allowing for custom switches. As FPS gaming in particular is extremely reliant upon DPI sensitivity, gaming mice feature various levels of adjustments with on-board profiles allowing gamers to store custom settings. Along with this feature gamers may find options for programmable buttons for both in-game and desktop functionality, so that different games can receive different settings without having to constantly reconfigure buttons. Aesthetically, features such as RGB lighting, braided cables, and swappable pieces for the means of styling – customization can be great for matching the player’s system and additional gear. 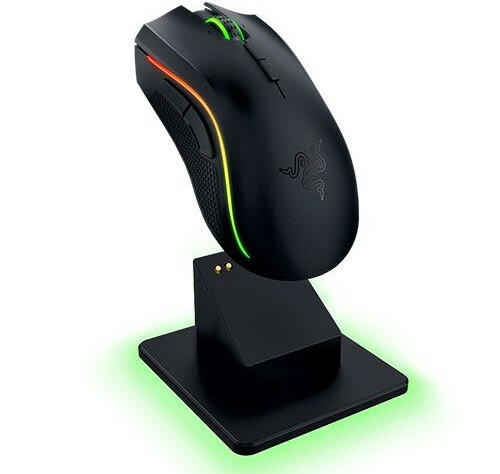 With mice such as the Razer Mamba Wireless mouse allowing cross-compatibility with Razer keyboards thanks to Chroma lighting software, gamers can customize their entire set-up to match the lighting on their PCs. Software of this nature is usually implemented on a manufacture basis, with each mouse adhering to their own preferences. 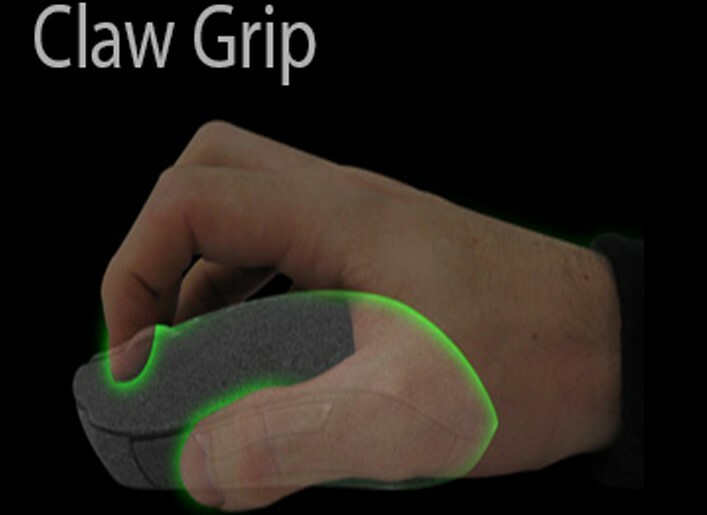 Known as the DPI, gaming mice track their surfaces through the movements of dots per inch. Laser mice have a higher DPI level than optical mice as they emit a laser based sensor for tracking. 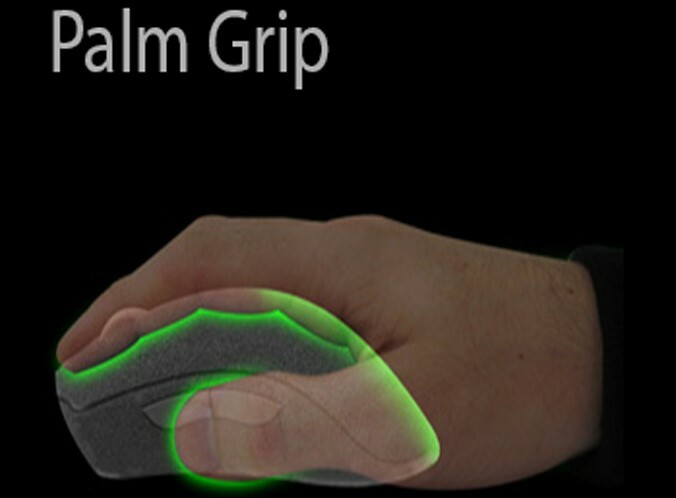 This proves to be more sensitive, allowing the mouse to work well across any type of surface. optical mice use an LED sensor for tracking and are best suited for use on a mouse mat. While both types of sensors feature high DPI settings, a higher DPI doesn’t necessarily mean a better experience for gaming. For those working with multi-monitor set-ups or high-resolution displays above 1080p the higher DPI will be of use. As for casual gaming or even competitive gaming, the high DPI settings available on the majority of gaming mice will be more than enough for most players. Wow! Gamers will love this article as it of much concern to them. 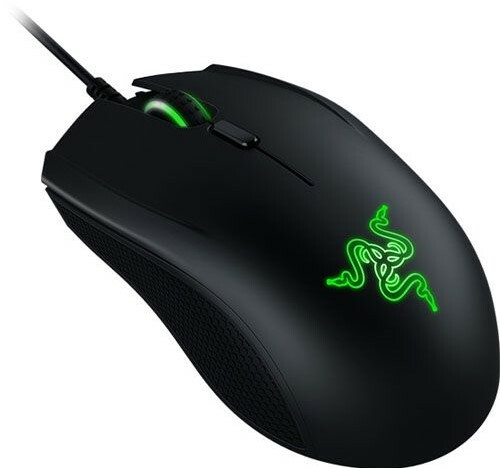 They can now easily buy the best mouse according to their need like someone likes to play different shooting games for which they need accuracy. Now the decision can be easily made.